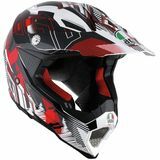 tonymoore301 Fits perfectly and very durable "This helmet is 100% awesome. Its very comfortable, durable and the paint is very high quality. You can't go wrong with this helmet and the price great too"